This is the threat that everyone needs to know. The Fukushima radiation is one of the catastrophic events that the world is facing right now. This is a worldwide health issue that demands attention, but the governments are not talking about. Why? Is it because they don’t want the people to know about it or is it because they believe they are not ready enough to face this massive problem? It is a problem that we will surely be facing anytime soon. The media, politicians and the world at large seem to be engaging in extreme denial regarding Fukushima.A survey of mainstream media coverage of the fallout of this event reveals the trend of covering this story as a human interest affair, not as the immediate threat it truly is. The FDA maintains that there is no evidence of contamination by Fukushima borne radionuclides in the American food supply, yet this opinion is contested by some independent researchers. A report by theFairewinds Energy Education says that cancer is on the rise in areas around the failed power plant, and that millions will die in coming years as a result. As election year in the U.S. approaches its dramatic climax, it has been striking to observe that neither of the major two-party candidates, or third-party candidates for that matter, have mentioned this crisis at all during the entire election run up. It is a non-issue in American politics, and if you’re listening, the silence is deafening. 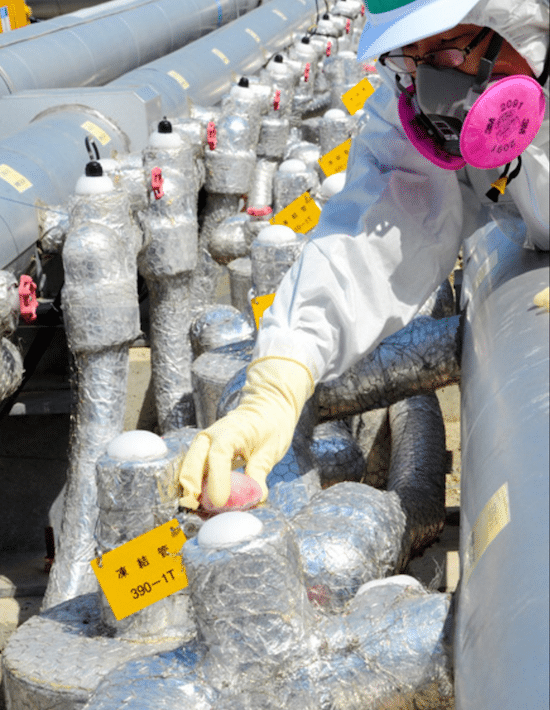 A previous and ongoing cleanup effort requires the on site storage of contaminated water near the Fukushima Daiichi is merely a band-aid as radioactive water continues to accumulate by the day, with no long term plan for proper disposal. 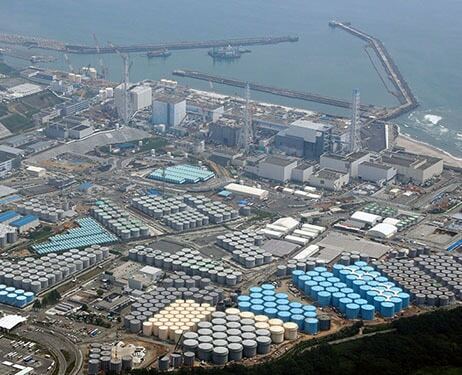 Storage tanks at the Fukushima Dai-ichi nuclear plant. The reality here is that this crisis is untouchable in its scope and unparalleled in its lethality, and TEPCO’s 40-year-plan to decommission the plant will be a failure. No one of significant import is talking about this crisis or working to elevate it as a national and international priority. The American political scene is focused instead on the selection of the next president being chosen between two candidates who clearly have zero interest in addressing this dire issue. Is this because nothing can be done about it? Is this because the energy industry is controlling the conversation and covering up the truth? Or is this because the agenda for the U.S. at present is geared to destabilization and a push for expansion of the Orwellian Permanent War, and ecological disasters are supportive of the global depopulation scheme in play? In any case, the Fukushima meltdown is a slow-burning apocalyptic event that desperately needs our attention.